Overview of the Website Games module's settings panel. 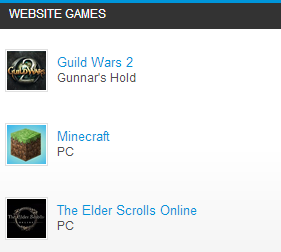 This module allows you list and create links of your community's games. Select the games that you would like to list on your site and enter a URL if you would want to link users to another site.